Some Bible enthusiasts think WE ARE starting fulfillment of Old Testament Ezekiel's prophesies in chapters 36-39 of that great book. Developing situations in Asia, Israel, Iran, etc., are leading to such thinking. I think there is much much more to the equasion than this. The Kings and Rulers in Psalm 2 (below) are driving the world intensionally, toward a train wreck. They are using a "perfect storm" strategy. There has been a huge military buildup in the Persian Gulf area in this last month (January 2012). It sure looks like an attack on Iran is determined and imminent. And it is likely to make for lots of trouble world wide. I think there will be a huge, apparently spontaneous, uprising from the, pre-arranged "occupy wall street" folks, demanding a one world government to save us. This is, of course, the exact, intentional, objective of the globalists. The Anti-Christ will eventually appear on the scene, to lead this government, and under his power the Seventieth Week of Daniel (see below) will commence and provide the umbrella of protection for Ezekiel 36 & 37. HOWEVER, I THINK THE ONE WORLD GOVERNMENT WILL BE FORMED, AND, IT WILL TAKE SOME TIME BEFORE EZEKIEL'S PROPHESY STARTS. I THINK THE GLOBAL GOVERNMENT WILL NEED SOME TIME TO DO THE PREPARATORY WORK, SO EZEKIEL'S PROPHESY CAN GET GOING. TO PUT IT ANOTHER WAY, THEY NEED SOME TIME TO GET THEIR ACT TOGETHER. But, maybe not very much. BEFORE THEY ARE READY FOR THE ANTI-CHRIST TO COME, AND THEY HAND THE WORLD GOVERNMENT OVER TO HIM. 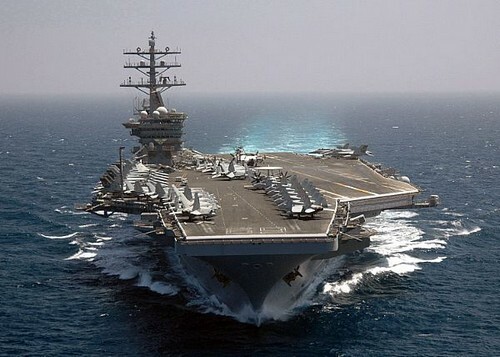 WITH THE RECENT HUGE MILITARY BUILDUP NEAR THE STRAITS OF HORMUZ, IT SURE LOOKS LIKE WORLD LEADERS ARE READY TO DO IT. Realize, (see Psalm 2 below and some of my other web pages), that the world leaders are working for the same supernatural, evil, Satan, Devil. It has to be largely choreographed well ahead of time. It will look to us non-elite folks like all hell is breaking loose. It will be terrifying -- the only chance of survival may seem to be a one world government. There is that old globalist saying, "World problems demand world solutions." But, I believe, it will, mostly, be for this exact effect. The nations which seem to be in conflict are secretly just acting it out. There is plenty of evidence, that the earnest effort to form a one world government has been going on for two hundred years, at least. They are using the well known boiling frog trick. I don't know if frogs are this dumb, but it makes a good illustration. The story goes -- you put the frog in a pan of water, at room temperature. You then increase the temperature ever so slowly. The frog won't sense the slow temperature change, and will cook to death -- and you have your frog legs dinner. Same way, the globalists have slowly changed many things over a long time period, and most of us frogs have not noticed, until lately anyway. The only way out, would be a serious mass turning back to the real God. But, I do not see this happening. NOTE The "Kings" are NOT THE RULERS -- BECAUSE THE RULERS ARE DEMONS -- SEE DANIEL CHAPTER 2 BELOW. NOTE THAT JESUS IS THE ONLY ESCAPE. THERE IS NO OTHER WAY OUT! And the armies which were in heaven followed him.. THE FIRST "THEY" GUYS IN VERSE 43 ARE DEMONS. 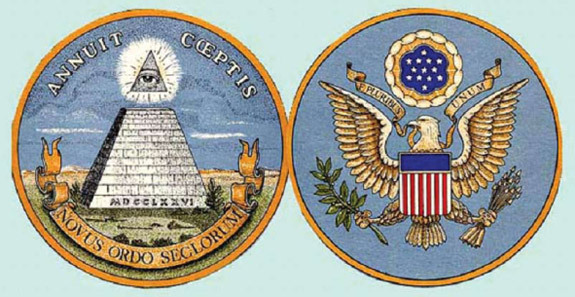 Regarding the Great Seal of the U.S. shown above. Incidentally, 32nd U.S. President Franklin Delano Roosevelt, a Freemason, had the Great Seal placed onto the 1$ U.S. bill. Research will show that, some, perhaps many of the founders of the U.S were Freemasons and that the origin of the pyramid picture comes from ancient occult sources. I think there is a dualism here - it applies to the U.S., at its founding, as a New kind of thing among nations, but also to a New World Order, global government of the Earth. The eye is, in the dualism, said to be the eye of God or Providence, but in the dualism, the eye the "god of this world," "the great architect of the world" Satan, actually. I believe many highly placed people, when they speak of "GOD," are, in their minds, refering to Satan - he IS their god. A pyramid is completely foreign to the true God of the Bible. A pyramid reminds us of Egypt, which God delivered Israel out of. --And figuratively delivers Christians out of. There is a saying we hear "If you build it I will come." Meaning, if humans get the one world government pretty well finished, Satan, in the person of the Anti-Christ will come to reign. I believe many leaders, when they say God, they mean Satan. It seems to me, this huge military buildup in the Persian Gulf, this month, is NOT for practice. Thus, they would be starting in earnest the preparatory work for Ezekiel's prophesy to begin to unfold. I don't believe for a single second, the world rulers are NOT fully aware of this (Ezekiel 36-39). The Anti-Christ wants a fully reformed Israel, and a re-built Temple. Somewhere along the line Gog and Magog and their Allies will be forced (with hook in their jaw) into an invasion of Israel as seen in chapters 38 & 39. The hook in the jaw will be necessary because they will be attacking Israel being protected by the great power of the Antichrist. Ezekiel's prophesies include repopulating Israel, and continues with the new Millennial Temple. Book of Revelation 20 is not for the faint of heart, but is important here. Ezekiel's prophesy, chapter 40-48, implements the 1000 year reign of the righteous dead (first resurrection) seen in verses 4-6 below. They reign with Jesus Christ 1000 years. Revelation 5:10 specifies that they reign on Earth. Note: Revelation 5:10 specifically says: And hast made us unto our God kings and priests: and we shall reign on the earth. There are many great videos on You-Tube, etc., and many web sites covering Ezekiel 36-39. Also the reader can visit the alternative news web sites to see all of the increasing tensions in the Persian Gulf, and in Asia, and in Palestine etc. 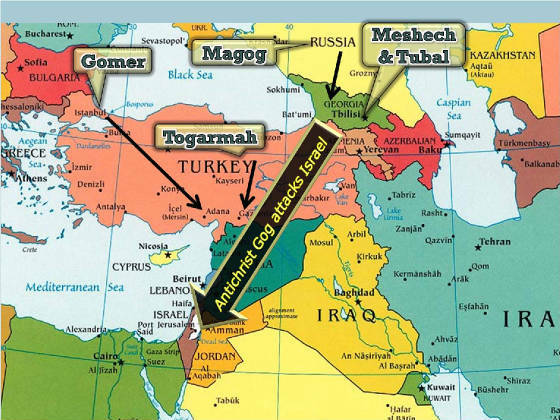 Note -- these involve Iran (Persia), Russia, connected with Gog and Magog in verse 8 above and also in Ezekiel chapters 38 and 39. Israel is involved of course. Other nations are involved -- listed in Ezekiel 38,39. 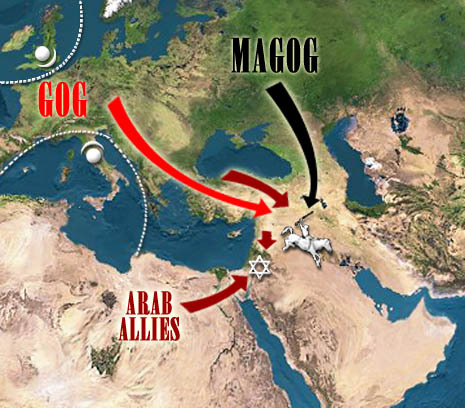 Gog/Magog attacks Israel BOTH before and at end of the Millennium. I will put the Ezekiel passage itself, in the following sections. Note that in Ezekiel 36:23-24 God is regathering Israelites from ALL NATIONS. THIS HAS NOT HAPPENED BEFORE. This is NEW! There was the Babylonian captivity, but NEVER a dispersion into ALL NATIONS, and a subsequent regathering. This world wide dispersion occurred after the destruction of Jerusalem in 70AD, by the Roman Army. There have been some folks trickle back, but not a large regathering of Israelites as Ezekiel calls for. THIS IS A MAJOR REASON EZEKIEL 36-48 IS YET FUTURE, BUT PERHAPS, NOT BY MUCH. Furthermore, Ezekiel 36:25-27 says God will give the ISRAELITES a NEW HEART. Note: The New Testament passage Hebrews 8:10, (also in 10:16), says this has ALREADY OCCURRED to Israelites who have embraced Jesus Christ, THUS, becoming Christians. It is true of all Gentile Christians too. But it is FUTURE, for the Israelites Ezekiel is prophesying about. -- AND RESUMES HIS ANCIENT PROGRAM WITH ISRAEL. Note - New Testament passage Romans 11, below, shows that the Church branches, presently grafted into Israel's root, must be removed, and the natural, Israelite branches re-grafted into their own roots -- for God to resume his program with Israel. The Church and Israel are two SEPARATE programs of God, as seen BELOW. Thus, the Church must be removed in the RAPTURE, BEFORE GOD RESTARTS HIS PROGRAM WITH ISRAEL. After this, God will restart his ancient program with Israel. THUS, THIS EZEKIEL PASSAGE, IF, it's FULFILLMENT IS STARTING, IS VERY IMPORTANT AND EXCITING. 28As concerning the gospel, they are enemies for your sakes: but as touching the election, they are beloved for the father's sakes. See my other web pages for more details. They are listed in the column at the left. Note: The Church CAN be on Earth during the beginning stages of the one world government, BEFORE the Anti-Christ is revealed. And I expect the Church WILL remain on Earth until God is ready to restart his ancient program with Israel. I believe Ezekiel's prophesy must be seen in conjunction with Daniel's (chapter 9) prophesy of Israel's 70 weeks. The last 7-year, sabbatical, "week" of Daniel's prophesy is when the "Prince that shall Come," will reign on earth. This "Prince that shall Come," is connected with the "Man of Sin" in 2Thessalonians2, and both are Antichrists. I SAY BOTH BECAUSE REVELATION 13 TALKS OF TWO BEASTS, ONE FROM THE SEA, ONE FROM THE LAND. I think it will be his/their umbrella of protection which will allow Israel to be reinstated and flourish as seen in Ezekiel 36-37. It will be much in his/their interests that Israel be reconstituted, build a temple, and resume their old religious customs. Daniel says in 9:24-: Seventy weeks are determined upon thy people and upon thy holy city, to finish the transgression, and to make an end of sins, and to make reconciliation for iniquity, and to bring in everlasting righteousness, and to seal up the vision and prophecy, and to anoint the most Holy. 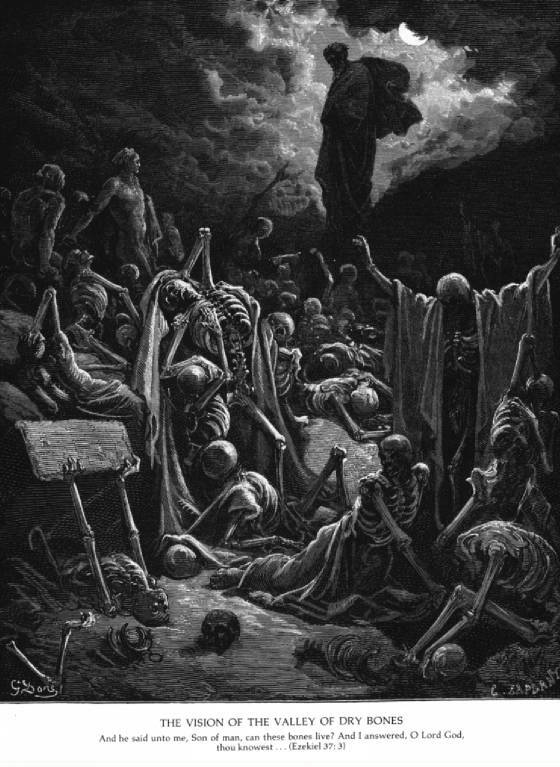 And he shall confirm the covenant with many for one week: and in the midst of the week he shall cause the sacrifice and the oblation to cease, and for the overspreading of abominations he shall make it desolate, even until the consummation, and that determined shall be poured upon the desolate. -- Old Testament Book of Daniel, chapter 9. Notice that this Anti-Christ (Prince that shall come) (who also perpetrates the "abomination of desolation") will confirm the 1 sabbatical week (7 year) covenant with Israel. This will provide them protection until Gog, Magog and their Allies, being "hooked in the jaws" are dragged to an invasion of Israel. The 70 weeks are for ISRAEL, NOT, for Christians. This final 70th week of seven years is understood to be the Tribulation Period, the last half of which is the Great Tribulation. It is believed that this Great Tribulation is the last half of the 7 year Tribulation period, following the Abomination of Desolation. The Daniel 9 passage indicates this abomination will occur at the mid point of the 7 year period. In stunning confirmation of Daniel 9, Jesus expected them to know the very day of his first coming. This event is called "Palm Sunday" in many churches. This 70th week is also know as the "Time of Jacob's Trouble." 7Alas! for that day is great, so that none is like it: it is even the time of Jacob's trouble, but he shall be saved out of it. There are numerous web articles on the 70 weeks of Daniel, and many study bibles and commentaries have articles. The "day and time" in Luke19 can be calculated from information in the Old Testament Book of Daniel, chapter 9. That is why Jesus expected them to know the very day -- and some of them did indeed know, but most did not. for that day shall not come, except there come a falling away first, and that man of sin be revealed, the son of perdition; Who opposeth and exalteth himself above all that is called God, or that is worshipped; so that he as God sitteth in the temple of God, showing himself that he is God. Remember ye not, that, when I was yet with you, I told you these things? And now ye know what withholdeth that he might be revealed in his time. For the mystery of iniquity doth already work: only he who now letteth (withholds) will let (withhold), until he be taken out of the way. But we are bound to give thanks always to God for you, brethren beloved of the Lord, because God hath from the beginning chosen you to salvation through sanctification of the Spirit and belief of the truth: Whereunto he called you by our gospel, to the obtaining of the glory of our Lord Jesus Christ. -- 2Thessalonians 2. Note, in the second paragraph above tremendous delusion is going to be used -- it will be impossible for non believers to withstand. This passage is difficult, but there are strong reasons to believe Christians will not be on Earth at the coming of the Man of Sin, but Matthew 24 shows that Jews will be (abomination of desolation). The believers are scolded in the first two verses of 2Thessalonians2 for being unnerved by reports the Day of Christ was at hand. The passage starts with, by our gathering together unto him, which would be the Rapture, the evacuation of believers from the earth's face. This would be PRIOR to "the Day of Christ" -- Christ's coming to the earth's surface in judgment. We believe that about 7 years later, Christ will return to the earth's surface in judgment. Thus, these believers would be very alarmed were this coming of Christ to the earth be imminent. The phrase "falling away," means a departure, often thought of as a departure from the true faith, but in at least two very old bibles is translated, "departure," that is the Rapture. The Geneva Bible is one of the two -- (genevabible.com and genevabible.org) are neat sites. This rendering is perfectly legitimate. I believe God can employ the word in both senses simultaneously, to mean both a departure from the faith, and from the Earth, too! 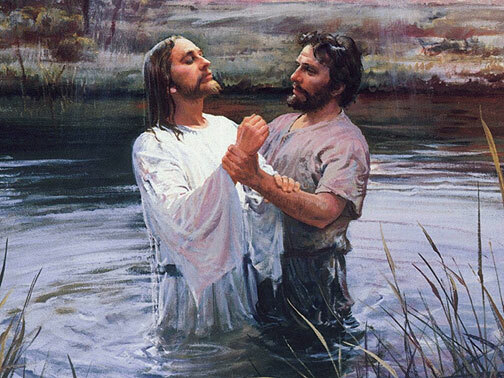 The “Man of Sin,” is restrained from being revealed until the “withholder” is taken out of the way. This is undoubtedly the Holy Spirit indwelling true believers. Removing believers from the earth, would simultaneously remove the restrainer and usher in a very great departure from the true faith. The latter parts of 2Thessalonians2 describes such. Note - this Man of Sin entering the Temple occurs mid-week (3.5 years) into the 7 year Tribulation period as expected from Daniel's chapter 9 prophesy. Christians will be removed before the 7 year period in which the Antichrist, (Prince that shall come / Man of Sin) comes to reign. As 2 Thessalonians 2 showed, I believe, the presents of the Christian Church prevents the Man of Sin from being revealed. The first 3.5 years may seem nice, allowing Israel to live in peace and prosperity. As I said above, the 70 weeks of Daniel contains the event/concept of the "Abomination of Desolation." In Matthew 24, Jesus used this term referring to the Daniel 9 prophesy. It is this event which is in view in 2Thessalonians2 with the Man of Sin sitting in the Temple. This is very strong reason Christians will have been removed already, prior to the last "week" (7year period) of Daniel. Daniels prophesy applies to Israel, not the Church, although there is a hiatus, a parenthesis, in the prophesy, in which the Church age occurs. EVENTS TAKING PLACE, OR LIKELY TO TAKE PLACE IN THE MIDDLE EAST SEEM TO BE CLEARING THE WAY FOR EZEKIEL PROPHESY TO BEGIN UNFOLDING. But for reasons I gave, regarding the "branches" in Romans 11, in 2 Thessalonians 2, and elsewhere, I believe the Church (all true believers) must be removed from the earth, before the Anti-Christ can come on the scene in the last week of Daniel. We need to make sure we are truly Saved by genuine faith in the Lord Jesus Christ, and we need to be about our Lord's business, watching and waiting for the Lord to take us, his Bride, to be with him in heaven. There are partial fulfillments of Bible Prophesy. We have seen, beginning in 1948 the RE-CREATION of Israel in Palestine. This is a partial fulfillment. It is a precursor to the full fulfillment of Ezekiel's prophesies. Later in this chapter (36) we see God puts a new heart and spirit in them and they return to him with contrition of repentance to God. This has not yet occurred. Many Christians make the bad mistake of thinking that modern Israel is God's operation. IT IS NOT -- IT IS THE PRECURSOR TO, THE REINSTATEMENT OF GOD'S OPERATION THROUGH ISRAEL -- BUT WE ARE NOT THERE YET. IT IS EXCITING TO SEE THAT CONTINUING EVENTS IN THE MIDDLE EAST COULD INDEED FREE UP TO WHOLE ANCIENT LAND OF ISRAEL AS EZEKIEL FORECASTS. 5Therefore thus saith the Lord GOD; Surely in the fire of my jealousy have I spoken against the residue of the heathen, and against all Idumea, which have appointed my land into their possession with the joy of all their heart, with despiteful minds, to cast it out for a prey. 14Therefore thou shalt devour men no more, neither bereave thy nations any more, saith the Lord GOD. 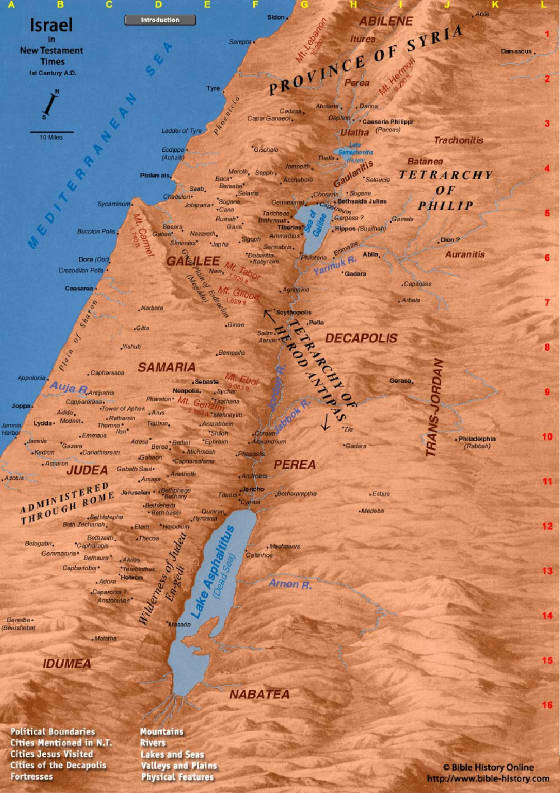 THE DESTRUCTION OF JERUSALEM IN AD 70 BY ROMAN FORCES, FORCED THIS WORLD WIDE DISPERSION -- IT HAD NOT OCCURRED PREVIOUSLY TO THE GREAT EXTENT WE SEE TODAY. NOTE: GOD GIVES THEM NEW HEARTS - THIS IS A NEW DEAL FOR THESE OLD TESTAMENT FOLKS. NOTE: THEY WILL SORROW AND CONTRITION FOR THEIR OLD WAYS. NOTE: CHAPTERS 38 AND 39 TELLS OF THE INVASION BY NORTHERN NATIONS AND, GOG/MAGOG. THEY SAY THIS IS TO "TAKE A SPOIL." IT'S POSSIBLE THAT THIS NEW, LUSH LAND, RENEWED BY GOD WITH ABUNDANT FOOD AND WATER AND OTHER RESOURCES WILL BECOME A REAL TARGET FOR STARVING NATIONS TO THE NORTH. 38As the holy flock, as the flock of Jerusalem in her solemn feasts; so shall the waste cities be filled with flocks of men: and they shall know that I am the LORD. "So I prophesied as he commanded me, and the breath came into them, and they lived, and stood up"
Commentators seem to interpret "graves" in the passage (verse 11) below as gentile nations, from which God is going to be retrieving Israelites. They also interpret "whole house of Israel" (verse 12) as ONLY those living at the time. I HAVE A PROBLEM WITH BOTH THESE IDEAS. IS that the Bible MEANS WHAT IT SAYS. IT SURE SEEMS TO ME GOD IS SAYING HE IS, IN FACT, GOING TO RAISE THE LONG DEAD ISRAELITES RIGHT OUT OF THEIR GRAVES AND PLACE THEM ALIVE AND WELL IN ISRAEL. SO, THE VIEWS OF COMMENTATORS MAY BE OK IN TERMS OF AN INCIPIENT FULFILLMENT, BUT IT SEEM SO CLEAR GOD IS SPEAKING OF MUCH MUCH MORE THAN THE COMMENTATORS SAY. Early in this web page, I mentioned the first and second resurrections in Revelation 20. I think the commentators are assuming God's bringing Israel out of the graves must happen in one of these two resurrections. But these resurrections involve the change from mortal beings to immortal beings. Jesus Christ raised Lazarus from being dead for four days -- but he brought him back to his normal, human, mortal state, not to an immortal spirit body. See John 11. So, Ezekiel 37 can certainly BE God really, bringing them all back the same way - to mortal life. So, it need not be at the first resurrection mentioned in Revelation 20. It sure seems to me we should be looking for much more than the standard commentators are saying. Could it be that God will pull the entire dead "House of Israel," out of the graves? WE NEED TO BE PREPARED TO ACCEPT, EXACTLY THIS. Jesus took the Bible straight. THIS IS WHAT A STRAIGHT READ OF EZEKIEL DEMANDS. Prior to 1948 when Israel was restarted as a Nation, many bible students did NOT have the faith, OR nerve, or whatever, to say it would really, literally happen, but resorted to non literal interpretations of many Old Testament promises to Israel. They tended to wrongly apply these to the Church. But, some intrepid bible believer correctly held out for literal fulfillment. And sure enough, in 1948 Israel was resurrected as a Nation, on Earth, even bringing back their old Hebrew. BUT in Romans 9 "all" is qualified. It tells us NOT "all" Israel, really IS Israel. It seems clear that all dead Israelites are NOT included in Ezekiel's words "whole house of Israel," but certainly ALL "children of the promise" as stated a few verses above, would be. Still, this means, as the below passage says, "an exceeding great army," of Israelites. I think the commentators DON'T HAVE all the answers. We may need to get closer to fulfillment to see how things will unfold. Thus saith the Lord GOD; Behold, I am against thee, O Gog, the chief prince of Meshech, and Tubal. 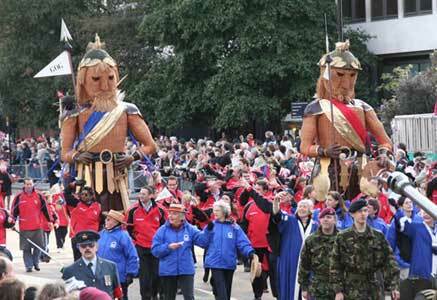 Wikipedia has a rather interesting article on Gog and Magog. I'm not saying I agree with it all, but they show the extensive range and depth of the subject. Hal Lindsey indicated he thought Russia's military commitments to Syria would end up being the "hooks into thy jaws," in verse 4. It seems to me in the passage below, the HOOKS are going to be very much more forceful than a political or military agreement. The passage, notes that the Israelites are dwelling safely. So, assuming the Anti-Christ is providing the protection, it is going to take A LOT OF FORCE TO Get Gog, Magog, and allies to attack. The use of primitive means, that is, horses, in the warfare certainly should be assumed to be actual, considering various circumstances that may exist. I note also, the apparent total absence of the United States in this whole thing. I suspect that the Rapture (the removal of the Church from the Earth) has decimated the US, in that the US has a far far higher percentage of Christians than other countries. In fact the Rapture would effectively, greatly, and immediately shift power to Europe and Asia. NOW THE END BEGINS IS AN INTERESTING web sight covering this prophetic area. the identity of the nations in Ezekiel 38. Suffice to say that the main players, of which there is no doubt, are Russia, Iran, Turkey, Libya and Ethiopia. Now if we were living in the End Times, there would have to be a growing union between the biggest players in this group. These nations will attack Israel, the bible says, "To take a spoil, and to take a prey; to turn thine hand upon the desolate places [that are now] inhabited, and upon the people [that are] gathered out of the nations, which have gotten cattle and goods, that dwell in the midst of the land." 7Be thou prepared, and prepare for thyself, thou, and all thy company that are assembled unto thee, and be thou a guard unto them. 8After many days thou shalt be visited: in the latter years thou shalt come into the land that is brought back from the sword, and is gathered out of many people, against the mountains of Israel, which have been always waste: but it is brought forth out of the nations, and they shall dwell safely all of them. 9Thou shalt ascend and come like a storm, thou shalt be like a cloud to cover the land, thou, and all thy bands, and many people with thee. 12To take a spoil, and to take a prey; to turn thine hand upon the desolate places that are now inhabited, and upon the people that are gathered out of the nations, which have gotten cattle and goods, that dwell in the midst of the land. 14Therefore, son of man, prophesy and say unto Gog, Thus saith the Lord GOD; In that day when my people of Israel dwelleth safely, shalt thou not know it? 16And thou shalt come up against my people of Israel, as a cloud to cover the land; it shall be in the latter days, and I will bring thee against my land, that the heathen may know me, when I shall be sanctified in thee, O Gog, before their eyes. 17Thus saith the Lord GOD; Art thou he of whom I have spoken in old time by my servants the prophets of Israel, which prophesied in those days many years that I would bring thee against them? 18And it shall come to pass at the same time when Gog shall come against the land of Israel, saith the Lord GOD, that my fury shall come up in my face. 20So that the fishes of the sea, and the fowls of the heaven, and the beasts of the field, and all creeping things that creep upon the earth, and all the men that are upon the face of the earth, shall shake at my presence, and the mountains shall be thrown down, and the steep places shall fall, and every wall shall fall to the ground. 21And I will call for a sword against him throughout all my mountains, saith the Lord GOD: every man's sword shall be against his brother. 22And I will plead against him with pestilence and with blood; and I will rain upon him, and upon his bands, and upon the many people that are with him, an overflowing rain, and great hailstones, fire, and brimstone. 23Thus will I magnify myself, and sanctify myself; and I will be known in the eyes of many nations, and they shall know that I am the LORD. God, in coming to their rescue may be flatly UPSTAGING the Anti-Christ as their protector. This could be an additional major reason for the Anti-Christ's contempt for God in entering the Temple and becoming the Abomination of Desolation. In this chapter we have the information that the Israelites would burn the enemy war weapons for SEVEN years instead of gathering wood fuel. If this seven years coincides with the last 7 years of Daniel's 70th week, then we might think that the invasion shown in these two chapters (38,39) occurs at or near, the beginning of the 7 years. It is certainly possible that the One World Government (New World Order) will be in place and providing protection to Israel, maybe a new Pax Romana, prior to the 7 year period of the 70th week, and prior to the installment of the Anti-Christ. This would mean that Israel's receiving the New heart and spirit early on, could follow quite quickly after the Rapture of the Church. OR, it is possible these 7 years extend beyond the 70th week of Daniel into the Millinium. This would seem to be very odd, but not impossible. At the end of this page I include chapter 12 of Daniel. I also quote from the note in the New Scofield Bible regarding the additional time periods of 30 and 45 days mentioned in Daniel 12. Again, perhaps we will have to watch things unfold, to know exactly how Ezekiel's prophesy will play out. But, again, I think, careful observers see that our world is rushing toward a huge event. I would say, even, a perfect storm with the convergence of multiple serious problems. Absolutely, no accident of course (Psalm2 makes clear). 5Thou shalt fall upon the open field: for I have spoken it, saith the Lord GOD. 6And I will send a fire on Magog, and among them that dwell carelessly in the isles: and they shall know that I am the LORD. 7So will I make my holy name known in the midst of my people Israel; and I will not let them pollute my holy name any more: and the heathen shall know that I am the LORD, the Holy One in Israel. 8Behold, it is come, and it is done, saith the Lord GOD; this is the day whereof I have spoken. 10So that they shall take no wood out of the field, neither cut down any out of the forests; for they shall burn the weapons with fire: and they shall spoil those that spoiled them, and rob those that robbed them, saith the Lord GOD. 11And it shall come to pass in that day, that I will give unto Gog a place there of graves in Israel, the valley of the passengers on the east of the sea: and it shall stop the noses of the passengers: and there shall they bury Gog and all his multitude: and they shall call it The valley of Hamongog. 12And seven months shall the house of Israel be burying of them, that they may cleanse the land. 13Yea, all the people of the land shall bury them; and it shall be to them a renown the day that I shall be glorified, saith the Lord GOD. 14And they shall sever out men of continual employment, passing through the land to bury with the passengers those that remain upon the face of the earth, to cleanse it: after the end of seven months shall they search. 15And the passengers that pass through the land, when any seeth a man's bone, then shall he set up a sign by it, till the buriers have buried it in the valley of Hamongog. 16And also the name of the city shall be Hamonah. Thus shall they cleanse the land. 18Ye shall eat the flesh of the mighty, and drink the blood of the princes of the earth, of rams, of lambs, and of goats, of bullocks, all of them fatlings of Bashan. 19And ye shall eat fat till ye be full, and drink blood till ye be drunken, of my sacrifice which I have sacrificed for you. 20Thus ye shall be filled at my table with horses and chariots, with mighty men, and with all men of war, saith the Lord GOD. 21And I will set my glory among the heathen, and all the heathen shall see my judgment that I have executed, and my hand that I have laid upon them. 22So the house of Israel shall know that I am the LORD their God from that day and forward. "Summary: (1) The time of the end in Daniel begins with the violation by "the prince that shall come"(ie. "little horn," "man of sin," "beast") of his covenant with the Jews for the restoration of the Temple and sacrifice (Daniel 9:27), and his presentation of himself as God, (9:27; 11:36-38; Mt. 24:15; 2 Th.2:4; Rev. 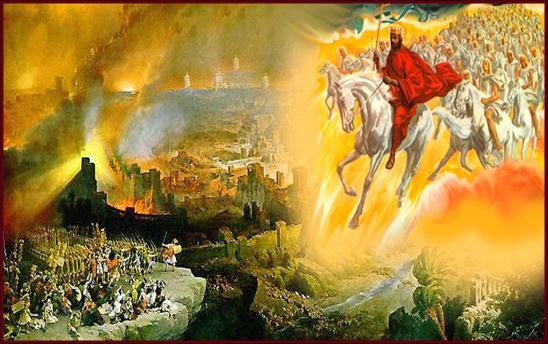 13:4-6; and ends with his destruction by the appearing of the Lord in Glory (2Th.2-8; Rev 19:19-20). (2) The duration of the "time of the end" is three and one half years, coinciding with the last half of the seventieth week of Daniel (7:25; 12:7; Rev 13.5). And (3) this "time of the end" is the "time of Jacob trouble" (Jer. 30:7); "a time of trouble such as never was a nation" (Dan.12:1); "great tribulation such as was not since the beginning of the world...nor ever shall be (Mt.24:21). The N.T., especially The Revelation, adds many details. (Dan.12:12) Three periods of "days" date from the "abomination" (ie. 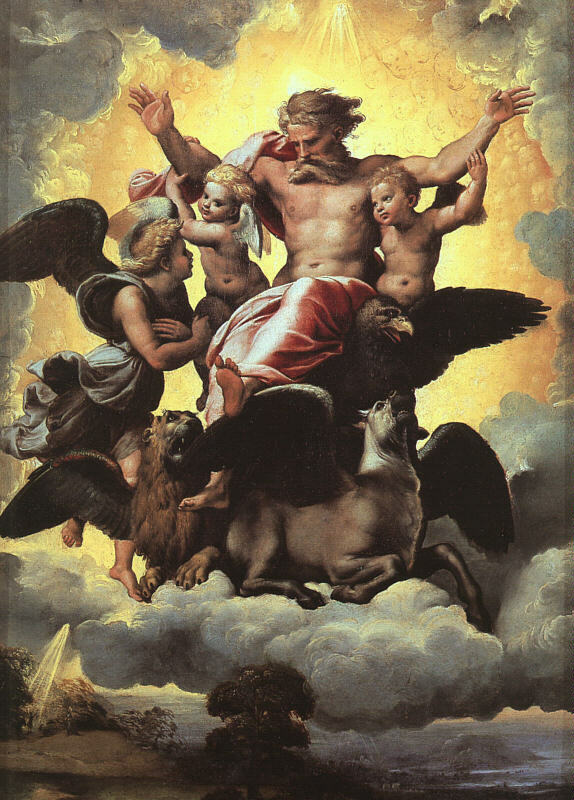 the blasphemous assumption of deity of Deity by the beast, v.11; Mt.24:15; 2 Th. 2:4): (1) Twelve hundred and sixty days to the destruction of the beast (7:25; 12:7: Rev 13:5; 19:19-20). This is also the duration of the great tribulation. (2) Dating from the same event a period of 1290 days, an addition of thirty days(12:11). And (3) again fortyfive days are added, and with them the promise of v12. No account is directly given of that which occupies the interval of seventyfive days between the end of the tribulation and the full blessing of v. 12. It is suggested that the explanation may be found in the prophetic descriptions of the events following the war of Armageddon (Rev.16:13-16). The beast is destroyed and Gentile world dominion ended by the Smiting Stone at the end of the 1260 days, but the scene is, so to speak, filled with debris or the image which the "wind" must carry away before full blessing comes (2:35).